I’ve just watched Goldcrest, but Blackbirds, Thrushes, Fieldfare and Greenfinches are turning up too. They’re stripping the Yew Tree of its fruits. 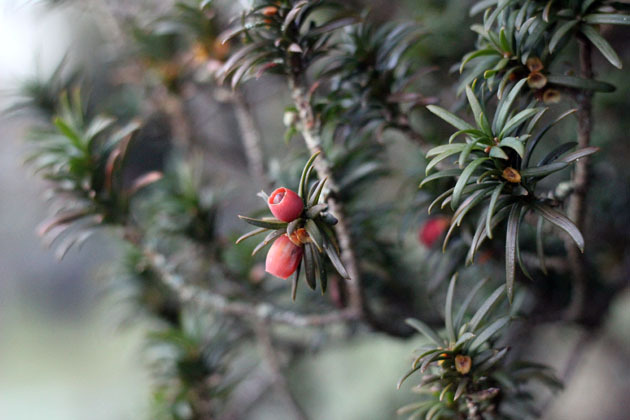 Unlike many conifers, the common yew does not actually bear its seeds in a cone. 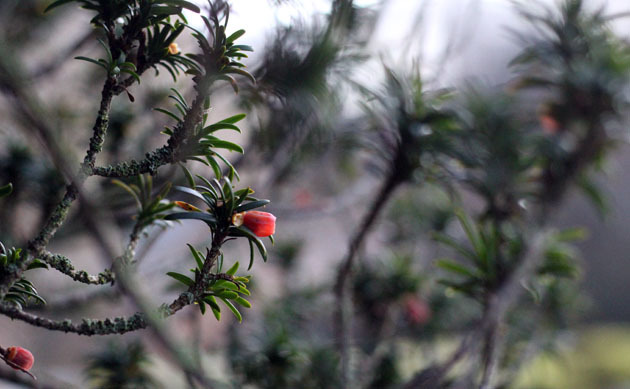 Instead each seed is enclosed in a red, fleshy, berry-like structure known as an aril, which is open at the tip. 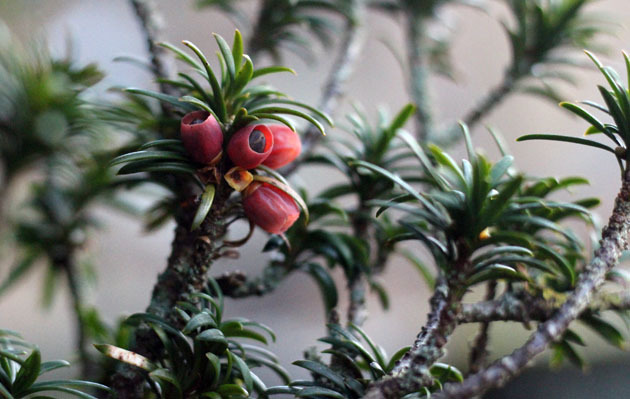 The aril is a special favourite of birds, squirrels and doormice who also use the dense growth of the Yew for protection and nesting. The leaves are eaten by the caterpillars of the Satin Beauty Moth. As one of the most long-lived of our trees it must have many nature stories, winter histories and bird tales to tell.